- Reebok Men's 4.3 Ounce Playdry Athletic Polo. 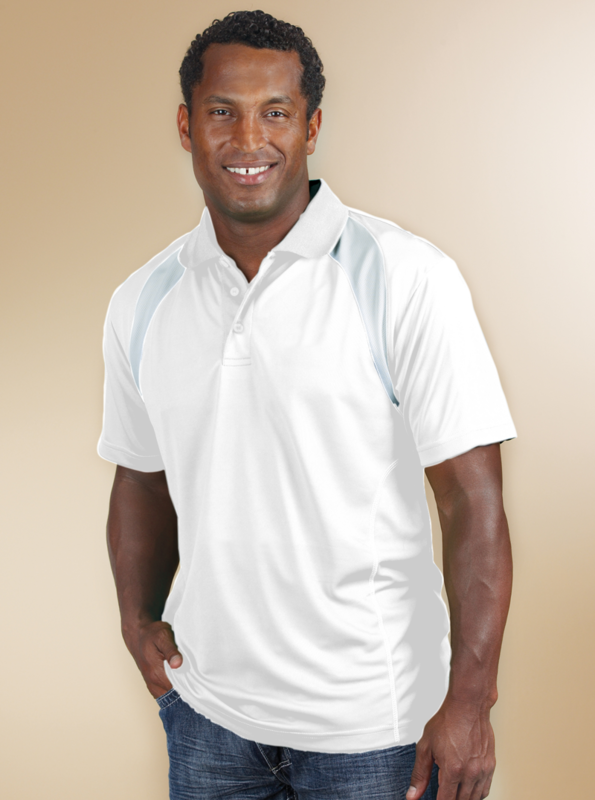 - 100% Polyester 4.3 ounce moisture wicking performance fabric. - Flat knit collar and colorblock front panels, reverse stitching on side for athletic look. - Reebok embroidered on left bicep. - Style Ships From El Dorado Springs, Mo. Reebok Men's 4.3 Ounce Playdry Athletic Polo. 100% Polyester 4.3 ounce moisture wicking performance fabric. Flat knit collar and colorblock front panels, reverse stitching on side for athletic look. Reebok embroidered on left bicep. 3-button placket. Machine washable. Sizes: S-5XL. Colors: Black/Red, Black/White, Charcoal/White, Navy/White, Red/White, Royal/White. Style Ships From El Dorado Springs, Mo.